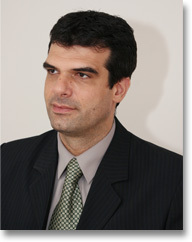 Răzvan Voncu is a Lecturer in the Department of Romanian Literature in the Faculty of Letters at Bucharest University. He teaches medieval and contemporary Romanian literature, and Cultural Studies. He has published seven books of literary history and criticism, two books of journalism, and a diary. Recent titles include: Jurnalul unui an satatnic [The Diary of a Satanic Year: 24 March 1999–24 March 2000], 2001; Orizonturi medievale (Medieval Horizons), 2003; Eseuri critice [Critical Essays], 2006; and Fragmente de noapte [Slices of Night], 2008. He is a regular contributor to some of the most important cultural reviews of Romania and Serbia; and he has received several prestigious literary prizes, including the Romanian Academy Prize for Literary Criticism (2003). He is a member of the Writers’ Union of Serbia and a founder member of the Association of Literary Critics of Romania. Together with Simona Drăgan, he is currently preparing the first translation of Richard Berengarten’s work into Romanian, a version of In a Time of Drought.